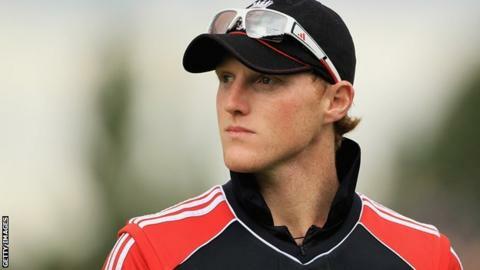 England Lions duo Matt Coles and Ben Stokes have been sent home from the tour of Australia for disciplinary reasons. Kent pace bowler Coles and Durham all-rounder Stokes were issued with written warnings before facing hearings for unprofessional conduct. "Both Matt and Ben have ignored the instructions given to them around their match preparation and recovery," said ECB performance director David Parsons. No replacement players will be named. Parsons added: "Both are very talented individuals and it is hoped that, with the support of the ECB and their respective counties, they will take positive steps to give themselves the very best chance of fulfilling their potential." The England Lions are the team previously known as England A, effectively a second string to the full England squad. Joe Root was named captain of the squad for the tour of Australia before he was promoted to the first team. Coles, 22, took 74 wickets last season, while Stokes, 21, made his full England debut in the ODI victory over Ireland in August 2011, before making his Twenty20 bow versus West Indies a month later. A statement issued by a "disappointed" Durham said: "Ben will meet with the club's cricket management team upon his return to the UK and the club will make no further comment at this stage."